You may have heard that the Federal Bureau of Investigation has been making an effort in converting their paper files into digital ones. At first glance, this may sound like excellent news for genealogists. Unfortunately, these records will not be made available to genealogists. Even so, the story about the records is quite fascinating. The Federal Bureau of Investigation (FBI) has been working on converting more than 30 million paper records into digital ones. In addition, they are also digitizing around 83 million fingerprint cards. The reason has to do with their Next Generation Identification (NGI) system that requires digital copies of records, files, fingerprints, and other information. The NGI system is intended to make it a lot easier for law enforcement agencies to access the records they need – and to do it in a much shorter amount of time. They will be able to quickly look up the digitized record of a person’s criminal history and fingerprints. In other words, the digitized records that the FBI is converting from paper records is not something that will be accessible to genealogists. One interesting thing about this collection of records is that they date back as far as the 1920’s. The earliest records were sent to the FBI from the U.S. Army. They sent over 800,000 paper files. 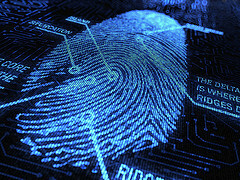 Another “fun fact” is that in the 1930’s, the FBI gathered the largest-ever collection of fingerprints. Those fingerprints came from law enforcement agencies that were partnered with the FBI. What else is being digitized? They are making digital copies of old fingerprint index cards. They are also making digital copies of a huge collection of criminal history files that date back to the 1970s. Some of them date back even farther than that. There is also a collection of civil identify files that are being digitized. Those files are from people who were born before 1960 and who either enlisted in the military or applied for a government job. What will happen to the paper copies of the records? Most of them are being destroyed. The FBI is going to keep the original paper copies of records that are especially significant. For example, the fingerprint cards of infamous names like John Dillinger, Bonnie Parker, and Clyde Barrow will be saved. There are many lessons that genealogists can take from what the FBI is doing. First of all, it shows that paper records are not going to last forever. That means it is very important to start making digital copies of vital records, photos, and other important information about your family members. Secondly, but perhaps most importantly, it shows why the effort to digitize records is so important. Digital copies of paper records are much easier to share than the original paper versions will be. It is also much quicker to share a digitized record with a relative that lives far away then it would be to mail off a paper copy of that same record. Image by CPOA on Flickr.